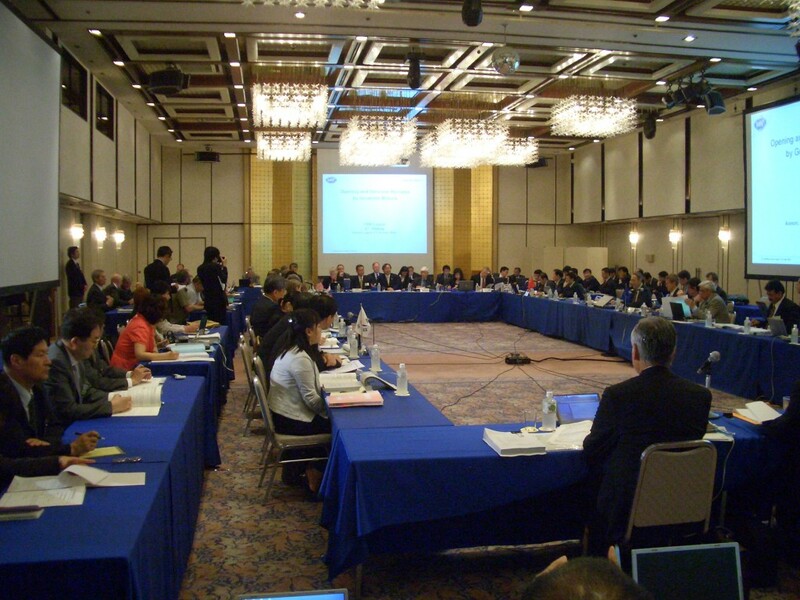 ITER Council: "We owe it to the world to succeed"
The second ITER Council meeting in Aomori, Japan. 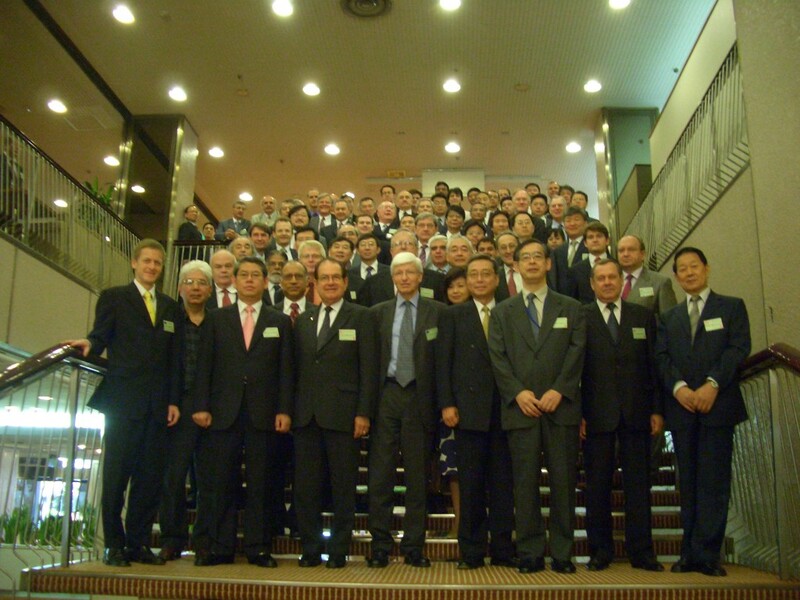 Participants at IC-2 in Aomori, Japan. Last week, the ITER Council, the Governing Board of the ITER Organization, convened for the second time in the history of the still young international organization. At the two-day meeting that took place in Aomori, Japan, senior representatives from the seven ITER Member states took note of the progress this "greatest science adventure of our time" has made, as ITER Director-General Kaname Ikeda said. "The ITER project successfully completed its preparatory stage and is now about to start the full-fledged implementation phase, as we witness today," Dr. Jong-Koo Park, Vice Minister of the Korean Ministry of Education, Science and Technology, stated in his opening speech. In their opening remarks, the Heads of Delegations all stressed the importance of ITER, which has been made even more apparent by the recent rise in the price of oil. Statements such as "we owe it to the world and to future generations to succeed..." set the tone for the subsequent discussions. "At a time when stable energy supplies and the promotion of strategies to tackle climate change are topics of global concern, the world is watching the ITER project," Mr. Shingo Mimura, Governor of the Aomori Prefecture, welcomed the delegates. Implemented by seven Members that together make up half of the earth's population, ITER is utilizing "the wisdom of humankind to strive for a secure and stable energy supply." Zoran Stancic, Deputy Director-General for Research in the European Commission and leader of the European Delegation, also stressed the importance the ITER project will play in the quest for sustainable and environmental friendly energy sources. "As the mounting pressure on conventional energy resources manifests itself in record oil prices, and the concerns over future climate trends intensify, ITER's programmatic goals become ever more vital," Stancic said. "We owe it to ourselves, to our future generations and each other and to humanity to ensure the success of our joint project." Jong-Koo Park from Korea also left no doubt about the importance of ITER achieving its goals: "We, ladies and gentlemen, with the ITER project, are on the front lines of the struggle to solve the most important global issue of the new century. I believe the fundamental solution for these issues and the key to mankind's future sustainable development depend on the success of the ITER project. The ITER Organization should exert the utmost effort to mobilize all possible material and human resources so that the ITER project can be carried out in the most efficient way possible." Major outcomes of the second ITER Council Meeting included progress towards an updated Baseline Design and an agreed schedule, and the decision to hold an independent review of the resource estimate for the construction period. "While dealing with a significant increase will be very difficult, the recognition that ITER must succeed, and the explicit reference in the Record of Decisions to the importance of maintaining the Project's momentum, were very encouraging," the Council Chairman, Sir Chris Llewellyn Smith, said. "I was also greatly encouraged by the Delegates' warm praise for the significant progress that the ITER Organization and the Domestic Agencies had made since the first ITER Council meeting in November 2007, which was explicitly recognized by the Science and Technology Advisory Committee and the Management Advisory Committee." The Council approved the conditions for accession of an eighth state during the early ITER Construction Phase and also approved the start of formal interactions with Kazakhstan as a potential new Party to the ITER Agreement on this basis, subject to approval by all Member governments. It was also agreed that representatives from Kazakhstan could participate as observers in meetings convened by the ITER Organization prior to possible accession. All the Members' representatives expressed their sympathy for the victims of the recent earthquakes in China and Japan.